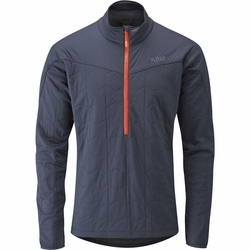 Rab Paradox Pull-On. The Paradox Pull-On is an innovative and extremely breathable, light-weight mountain pull-on, designed using the lightest Polartec Alpha insulation. Achieving maximum breathability, high packability and excellent dry time, the Paradox Pull-On is the ultimate expedition layering piece. Designed to be worn in extreme conditions as a layering piece, or as a stand-alone piece in warmer conditions, the Paradox Pull-On features a combination of light-weight fabrics, YKK zips throughout and elasticated cuffs for increased comfort and protection.